With a used snowmobile helmet, you have no way of knowing if it is damaged on the inside where it may not show. Many snowmobilers replace their helmets every 5 years due to noticeable safety enhancements from new materials, design and production methods, in addition to snowmobile helmet liners wearing out due to: perspiration, hair oils, cosmetics and normal wear. The D.O.T. (Department of Transportation) and Snell offer helmet safety info on the performance of helmets in crash situations. D.O.T. certified rating requires that all snowmobile and motorcycle helmets sold in the United States meet with Federal Motor Vehicle Safety Standard (FMVSS) 218. NOTE: While some snowmobile helmets are tested by the D.O.T., many do not undergo testing. If a snowmobile helmet manufacturer determines their helmet is meeting D.O.T. specifications, they are allowed to sell it as "D.O.T. rated." Choosing between the 3 main snowmobile helmet styles depends on your personal taste and riding preferences. Keeping the face shield fog free is the main difference between motorcycle and snowmobiles helmets. Dual pane on a full face helmet, electric shield and breath guard (also known as a breath box) are essential options. 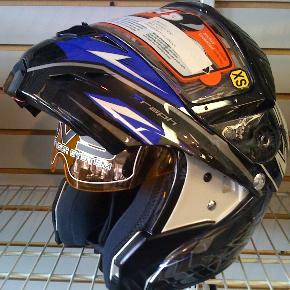 What other snowmobile helmet features do you recommend? Please include an email address if it is ok to contact you with followup questions.